Banaras Hindu University has been actively involved in Yoga Research, therapy as well as Yoga Education through the Yoga Sadhana Kendra in Malaviya Bhawan. Prof TR Anantharaman who was the director, Institute of Technology, BHU and the president of the Indian Academy of Yoga has contributed immensely to the union of ancient Yoga and Modern science through his literary works and lectures all over India and the world. He now runs the Ashram Atmadeep in Gurgaon near Delhi. Prof Dr KN Udupa who was the professor of surgery and director of the Institute of Medical Sciences and Prof RH Singh the Professor of Kaya Chikitsa have contributed early research works on Yoga that has set a standard for other researchers in the field. Their work in establishing Yoga therapy protocols for various medical disorders is to be highly appreciated. A physicist by training Sri UA Asrani was another scientist who had a great role in the Yoga work at BHU before he settled down in Lucknow. Swami Sivananda Saraswati, a medical doctor from south India settled in Rishikesh after Sanyas and founded the Sivananda Ashram in 1932 and the Divine Life Society in 1936. He started the Yoga Vedanta Forest Academy in 1948 and trained many hundreds of students. Swami Shivananda tried to simplify the Yogic and Vendantic concepts in practical tips for the modern man. His disciples have spread his unique teachings that are a combination of Yoga and Vedanta throughout the world. Swami Chinmayananda went on to found the Chinmaya Mission that has done great work in bring the Bhagavad Gita to the common man. Swami Vishnudevananda founded the Shivananda Ashram in Canada as well as at Nayar dam in Kerala. Swami Chidananda helped to establish the Divine life society as a world order through his dedicated and selfless service while Swami Satchidananda and Swami Jyothirmayananda took Shivananda’s teachings to the west and established centers in Yogaville and Miami respectively. Swami Satyananda founded the Bihar School of Yoga in Munger and also the Sivananda Mutt at Ganga Darshan. Swami Venkateshananda also took his teachings to various part of the world while Swami Krishnanada carried on the Guru’s tradition at Rishikesh itself. These are only are a few of the very well known disciples who have carried forth the name and fame of their great Guru. Gurukula Kangri University was founded on 4 March, 1902 by Swami Shraddhanandaji with the sole aim to revive the ancient Indian Gurukula System of education, on the bank of Ganges at a distance of about 6 km. from Haridwar. 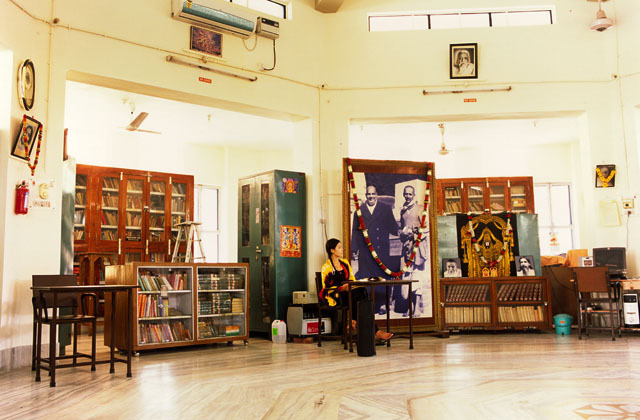 This institution was established with the objective of providing an indigenous alternative to Lord Macaulay’s education policy by imparting education in the areas of Vedic Literature, Indian Philosophy, Yogic Science, Indian Culture, Modern Sciences and Research. It is a deemed to be University fully funded by UGC/Govt. of India. This university has been well known for its high standard in the field of oriental studies like Vedas, Sanskrit, philosophy etc. In 1984, another milestone was erected in the faculty of oriental studies by establishing the Department of Yoga to propagate the ancient Indian culture and science in India and abroad by Dr. Ishwar Bhardwaj. The department of Yoga came in to existence in 1984 by the starting of 4 months Diploma in Yoga. This was an important progressive step in the field of oriental studies of this university. Yoga department of this university has been a premier institution to start with Yoga as elective subject at graduation level in 1990; MA/M.Sc. in Yoga in 1992 and Ph.D. program in Yoga in 1996 in India & abroad. In order to strengthen this department, the proposal of setting up of the Dept. of Human Consciousness and Yogic Science was sent to UGC and got approval vide UGC letter no. F-16/2001(PES) dated 29th March, 2001 and department was established as Human Consciousness and Yogic Science in 2002.The dept. has performed excellently to achieve the goal of propagation of ancient Indian Yogic science among newly aspiring young generation of India for healthful utility in India and abroad. 40 students completed their research work and got Ph.D. degree. Many students are working in various cities of India and abroad as U.S.A, Russia, and China etc. The dept. has also been spreading its wings by signing MOUs with various foreign Yoga institutions in China, Spain etc. Swami Rama of the Himalayas (1925-1996), was raised from early childhood by a great Yogi named Bengali Baba (ca. 1820-1981). He served for several years in his twenties as Shankaracharya of Karvirapitha in Nasik, renounced that position in the 1950’s and eventually built an ashram, Sadhanamandir, on the banks of Ganga in Rishikesh in the mid-1960’s. His mission, however, was to go to the West (1969) to demonstrate to the scientific community that there is much more to the mind than science conceived at that time. He demonstrated many extraordinary abilities under laboratory conditions, including the first EEG study of Yoganidra, as well as studies of the control of cardiac function and telekinesis at the Menninger foundation in the United States.He founded the Himalayan Institute of Yoga Science and Philosophy, initially in Minneapolis, MN, then started an ashram in Chicago, IL and finally settled at the Himalayan Institute campus in Honesdale, PA. In 1992 he returned permanently to Northern India to realize his master’s dream of a hospital and medical school in Uttarakhand which is now the Himalayan Institute Hospital Trust and Swami Rama University, a deemed university. He was assisted in this work by numerous disciples, both Indian and American, including MahamandaleshvaraSwami Veda Bharati (1933-2015) who built his own ashram, Swami Rama Sadhakagram, in Rishikesh in 2004, Pandit Rajmani Tigunait, who assumed spiritual directorship of the Honesdale Institute in the U.S., Swami JnaneshvaraBharati the creator of the excellent Yoga website www.swamij.com, and Swami Veda Bharati’s successor Swami Ritavan Bharati, the current Ashram Pramukh of Swami Rama Sadhaka Gram and spiritual preceptor of the Association of Himalayan Yoga Societies International (AHYMSIN) founded by Swami Veda Bharati. Dev Sanskriti Vishwavidyalaya (DSVV) in Haridwar is a university dedicated towards the confluence of traditional education with science and spirituality. It aims to promote and propagate the scientific and philosophical aspects of Yoga through its several courses (Certificate, Diploma, UG, PG, and PhD), researchers, conferences and workshops. The university has three designated centers-Center of Human Consciousness & Yogic Sciences, Center of Holistic Health Management, and the Center of Complementary & Alternative Medicine, focusing on Yoga, Yagya, Ayurveda, Naturopathy, Panchkarma, Pranic Healing, Psychotherapy, Biofeedback, Homeopathy, Unani, Diet-Nutrition, Spiritual healing and modern medicinal techniques to spread awareness, prevent, and fight disorders. The signature Yogic tradition followed and propagated here is Pragya Yoga, a holistic system for healthy tuning of all the three bodies (physical, subtle, and causal) by incorporating selected asanas and pranayams along with chanting of mantras. These Pragya Yoga asanas and Pragya Sadhana were proposed by Yug Rishi Pt. Shriram Sharma Acharya (1911-1990; Patron founder-Shantikunj) to deal with contemporary health and stress related issues. The University under the aegis and teachings of its Guru, Pt. Shriram Sharma Acharya, and his discipline Dr. Pranav Pandya (Chancellor, DSVV) is achieving many accolades on the academic and applied fronts in the field of Yoga and is duly recognized and well accredited by UGC, ISO, and NAAC for its achievements. One of the biggest influences on Yoga in India during the past few decades has been Baba Ramdev who was born as Ramkrishna Yadav in 1965, in Alipur village of Mahendragarh district, of Haryana. He is famous for popularizing Yoga among Indians through the medium of television and his mass Yoga camps. His Yoga camps are attended by thousands of people and he has taught many celebrities. He became a very well-known Yoga teacher and in 2003 he began appearing on Aastha TV in a series promoting Yoga. The show proved to be very popular with the audiences and he gained a large following. He established Divya Yoga Mandir Trust in 1995 along with Acharya Balkrishna who is an Ayurveda expert. The headquarters of the trust is at the Kripalu Bagh Ashram of Haridwar. He founded Patanjali Yogpeeth in Haridwar which is one of the largest Yoga institutes in India. The main purpose of the institute is to promote and develop Yoga and Ayurveda. It is also the home of the University of Patanjali that was started in 2006. Swami Bharat Bhushanji is another prominent Yoga Guru who founded Mokshayatan International Yogashram in Saharanpur that lies at the foot hills of Shivalik mountains in Uttar Pradesh in the year 1973 at a young age of 21. His mission and vision of “Bharat Yoga” aims to keep the spiritual essence of Indian culture alive in modern Yoga (as Bharat Varsh is the motherland of yoga science). One of his many contributions is ‘Yoga Gatis’ (Yogic movements); a scientific vision to provide health benefits to even those who have absolutely no knowledge of Yoga. He also developed several meditation techniques and worked on popularizing the spiritual aspect of Yoga and not just physical. Former Prime Minister Sh Atal Behari Vajpayee after witnessing his Yoga skills lovingly called him ‘Living Manu’ in 1978. Over the decades Mokshayatan International Yogashram inspired the youth with the motto “Shakti: Samyam: Seva” through different platforms such as Live Blood Bank, Sanskara Shiksha, Rashtra Vandna Mission, Gymnasiums, Yoga & Nature Cure, Education Forum etc. He initiated Spiritual Tourism on behalf of Government at Rishikesh in 1990 through 1st International Yoga Festival that celebrated its Silver Jubilee in 2015. Mokshayatan also initiated Yoga training for the army, paramilitary forces, police, research scientists, administrative and police academies, industries and jails etc. Swamiji was the first Yogi to be awarded ‘Padma Shri’ by Government of India in 1991 and D. Lit. by CCS State University for contribution to yoga. Mokshayatan Yogashram through its national and international branches is imparting Yoga education through different courses, worldwide Yoga camps, TV programs and a wide range of Yoga books and CDs and his daughter Acharya Pratishtha is supporting her father’s spiritual mission and vision by also propagating the message to all classes and masses worldwide. The Central Council for Research in Yoga and Naturopathy (CCRYN) is the apex body for Yoga and Naturopathy in India and has in the past few decades done great work in the propagation of Yoga as a therapy as well as in Yoga education and research. Initially, Swami Direndra Brahmachari was the director and following him Dr Naresh Kumar Brahmachari developed the council into a formidable body. Swami Direndra Brahmachari was one of the most famous Yogis in India during the time of Indira Gandhi who was a student of this maverick Yogi. He founded the Vishwayatan Yogashram in Delhi as well as his Ashram in Jammu and made headlines for even owning a gun factory. After his untimely demise in a helicopter crash, the Indian government took over his Ashram in Delhi and now it is functioning as the Moraji Desai National Institute for Yoga. The present director, Dr IV Basavaraddi has brought all major traditions of Yoga together through the Indian Yoga Association as well as the National Yoga Week held every year in the MDNIY premises. It has also been accorded the status of a Collaborative Centre for Traditional Medicine (Yoga) by the World Health Organization in 2013. Yoga research has been performed in an exemplary manner at the All India Institute of Medical Sciences (AIIMS), New Delhi. Prof BK Anand, Prof Baldev Singh and Prof GS Chhinna were amongst the earliest scientists to explore the Yogic phenomenon including the burial of Yogis underground for many hours and stoppage of heartbeats etc. Later many more researchers jumped on the bandwagon and a great amount of work continues to come out of AIIMS thanks to the seeds planted by eminent scientists such as the eminent Scientist-Yogi Prof Ramesh Bijlani who founded the Integral Health Clinic on 3 February 2000. Dr W Selvamurthy is a Distinguished Scientist who served as Chief Controller, Research & Development (Life Sciences & International Cooperation) at Defence Research and Development Organisation, Government of India. One of India’s most eminent scientists, he has been a top-notch researcher of the Yogic phenomenon and his work with Yoga training of the Indian army personnel has been of great value in places such as the Siachin Glacier. His work on stress and in the Pathophysiology of essential hypertension has been path breaking, to say the least. Currently serving as President Amity Science, Technology and Innovation Foundation, Noida, he remains one of the humblest human beings who is a great role model for budding scientists. Motilal Banarsidas, the Indological publishers have recently completed hundred years of their wonderful service to the cause of Indian literature. Virtually any book on Indological nature can be found under their banner and this service done by the Jain brothers is to be highly acclaimed. 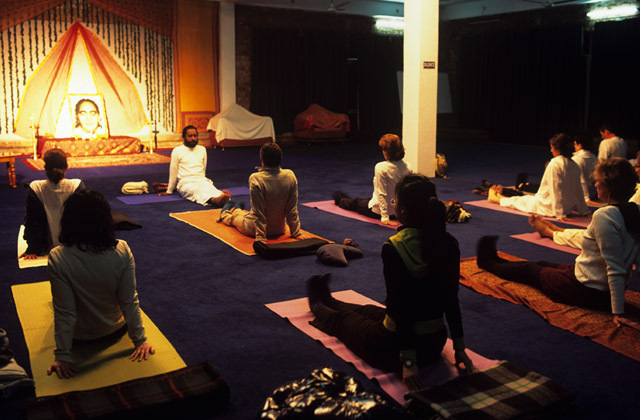 Yoga in Contemporary India: An overview is an essay written Dr. Ananda Balayogi Bhavanani. This article series keenly observes the lineages of well-known Yoga schools and research centres in India.